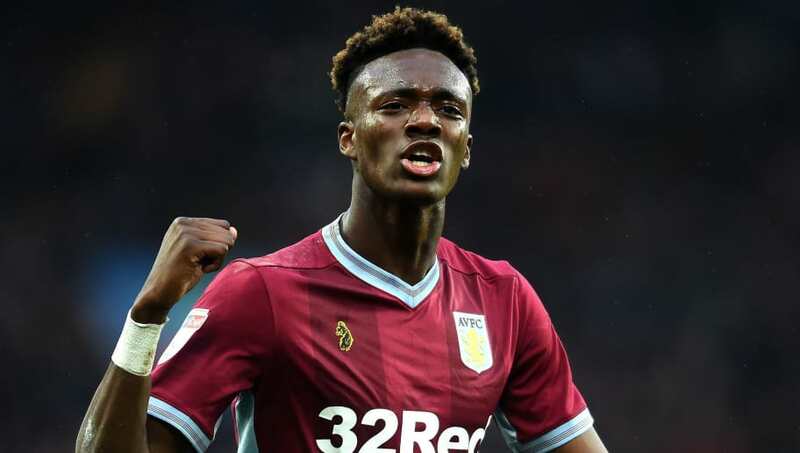 ​Aston Villa's on loan striker Tammy Abraham is set to turn down the allure of moving to the Premier League in favour of remaining at Aston Villa as they push for promotion from the Championship. Abraham is currently in the midst of a season-long loan from parent club Chelsea, having spent the previous campaign at Swansea City. His fine performances this term have been attracting the interest of top-flight clubs during the January window, fuelling speculation that he could be set for a Premier League return. 8 - Tammy Abraham has scored in eight of his 10 Championship appearances at Villa Park for Aston Villa, scoring 11 goals in total. Comforts. Villa manager Dean Smith is confident, however, that Chelsea won't recall the player this month and loan him to another Premier League club, believing that should Abraham see the season out at the Villans, it will be his last in the division. “The way I look at it, he’s played in this league before and scored 23 goals for Bristol City. He’s got 16 goals now with 20 games to go - if he scores another 10 then he’s never playing in the Championship again." The Daily Mirror reports that the 21-year-old has attracted the attention of Crystal Palace, who recently allowed Alexander Sorloth to leave on loan, to add some much-needed firepower to their forward line, although it's understood Abraham will now see out the season in Birmingham. Wolves were also credited with interest but the player turned down the chance to join Villa's rivals last week. Having joined the Chelsea setup in 2004 at the age of seven, Abraham was first sent out on loan to Bristol City in 2016, registering an impressive 26 goals in all competitions for the Robins in his maiden season there. Since then the striker's stock has continuously increased and the news of Abraham's decision to remain at Villa Park will come as music to the ears of Villa supporters, as the club look to build on their current position of tenth in the Championship and achieve promotion to the Premier League.